Looking for a blast from the past? Check out the fleamarket at the Belleville, Illinois fairgrounds. 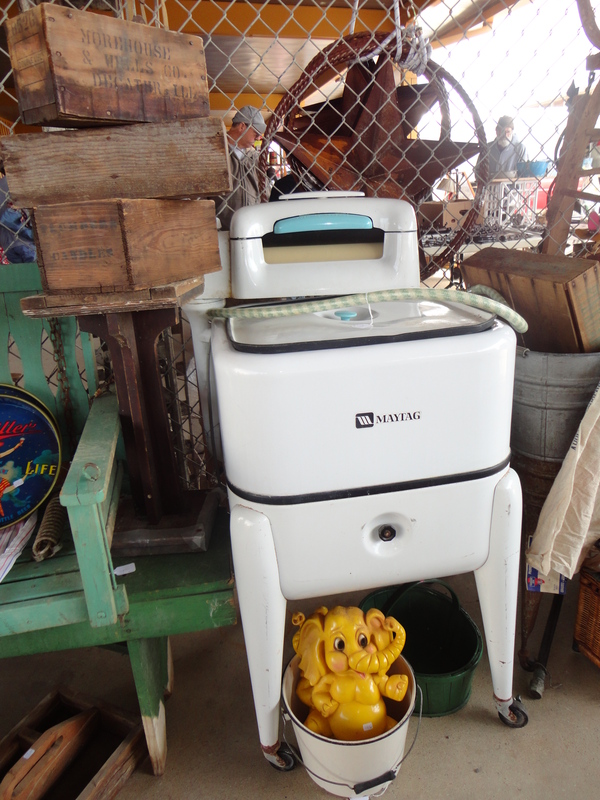 This weekend event brings in around 200-400 vendors that offer a variety of items for sale from jewelry to fudge to items like the wringer wash machine offered by Northwest Trading Posts. My husband and I just wanted a day away and the flea market offered some fun browsing. He found some literature and I bought a mirror with the Last Supper depicted that now has a place of honor in my kitchen. Previous Post: Fun at the Lincoln Park Zoo!